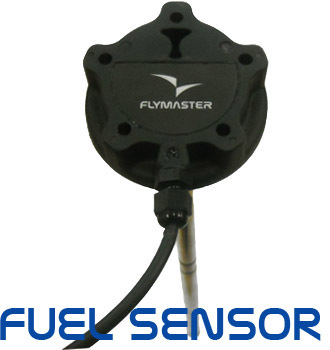 The Flymaster M1 turns any Flymaster flight instrument into an onboard motor management system for powered aircraft. Flymaster’s M1 gathers precise information from several sensors connected to the motor, records this data and send it wireless to Flymaster instruments. Using a (optional) fuel level sensor the M1 can measure the quantity of fuel in the tank. Based on this value the M1 can also calculate parameters like the average fuel consumption, or the remaining flight time.